While many have described the new world of remix culture where “nothing is original,” few have provided practical advice for those of us who find ourselves living and making things in it. Join filmmaker Kirby Ferguson (creator of the video series EVERYTHING IS A REMIX) and artist Austin Kleon (author of NEWSPAPER BLACKOUT and STEAL LIKE AN ARTIST) as they show clips from Kirby's work and discuss how one best goes about being a creator in the digital age. Austin Kleon is a writer and artist. He's the author of the books Steal Like An Artist and Newspaper Blackout. He lives in Austin, Texas, with his wife, Meg, and their dog, Milo. I'm a New York-based writer, producer, director and editor. 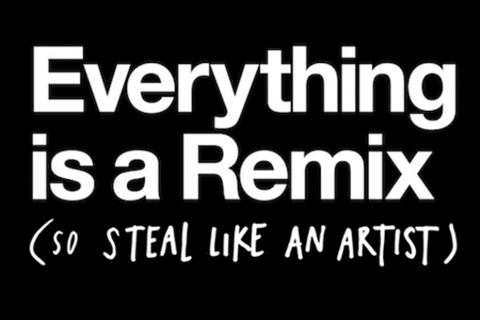 My most recent project was the four-part web video series, Everything is a Remix. I'm currently at work on a political series..